I took 2 days off from pinterest, to enjoy time with my kids. And since I did 5 pinned recipes on Thursday I’m just going to let it go that I did nothing the past 2 days. Anyway, back on to the challenge. 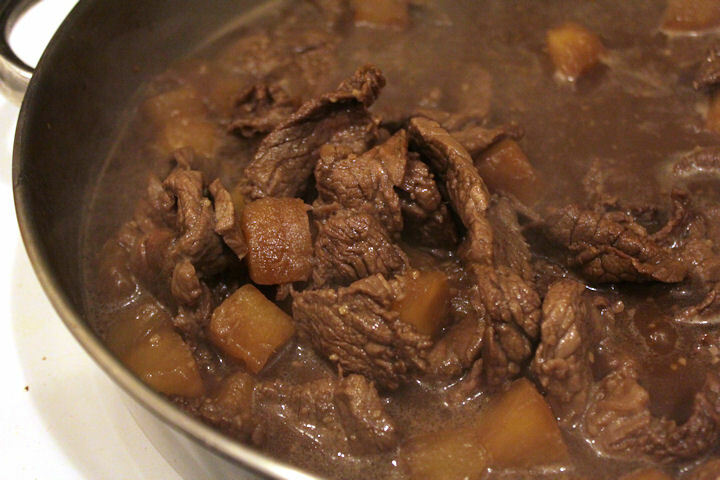 For dinner tonight I made some yummy Hawaiian Beef Teriyaki. It was great. The kids all had seconds, even my I-don’t-like-pineapple child. I think we will be adding this to the regular dinner rotation. This entry was posted in Food and tagged pinterest challenge. Bookmark the permalink. I specialize in children's portraiture.